WHEN AND HOW DO POWER AND FORCE BECOME ONE? MASTER AND DISCIPLE DO NOT COME FROM THIS SPACE AT ALL. PLEASE COMMENT. Power and force never become one. Power is something that radiates from you. The source is within. Force is violent. Force is interference, a trespass on the freedom of others. But, ordinarily, people don't make the distinction between the two words. They use them almost synonymously. Love is power, but not force. A president has force, but not power. Power never hurts anybody; it is always healing energy. It showers on you like flowers showering on you. It is a fragrance that reaches to you very silently, not even making any noise. It is for you to receive it or not to receive it. It does not force you to receive it. Power keeps your dignity intact -- in fact, it enhances it. It makes you more individual, it allows you more freedom. It makes no conditions on you. Force is totally the opposite of power. Force is violence against the other. But these words became synonymous; there must be some reason why. It is because in life we experience power changing into force. For example, you love someone; that is power. But then you get married, you are a husband and she is a wife; it is a social contract, it is business. Now power disappears, force enters in. You will still use the same words, but they don't mean the same. You will still say, "I love you," but you know that these are only empty words. Yes, once they were alive, once they had immense content. Once there was juice in them -- now everything is just dry. You have to say, "I love you." It is not coming from your heart, it is coming from your head. The space has changed. You will still kiss your wife, but it will be just an exercise of the lips; behind the lips there is nobody. You may be far away, thinking of your secretary. Your wife may be far away, thinking of her boss. Now power, which was a radiance, a field of energy, has disappeared. Instead there is force. Love is gone; law has entered into life. Because of these changes of power into force, the words have become synonymous -- even to the linguists, who should know better. The difference is very subtle. Force is always that of the sword. The sword may grow into nuclear weapons. Power is always of love. It can grow only into deep mysteries, unknown spaces. Ultimately, it can become a source of religio. It can open doors, to both the lovers, of something transcendental. It can help them to merge with the universe. In the moments of love when their powers meet, they are two bodies but not two souls. In those moments they start feeling a deep synchronicity with existence itself -- with the grass, with the trees, with the birds, with the clouds, with the stars -- something which only heart is capable of. It is not a question of reasoning, but of experiencing. So remember, power has some spirituality in it. Force is animal. Muhammad Ali may have force; I do not have. What connects me to you? It is not power of the same kind as that with which Muhammad Ali is connected to his fans. It is so different. You are not my fans. You are me, as if I am extended in you. In Ramakrishna's life -- and Ramakrishna is one of the very significant persons of the last century -- he became sick, he had cancer of the throat. He could not eat anything. And he had always loved delicious food, so much so that even his disciples had advised him, "This is not right for an enlightened man; this makes us feel embarrassed before others." He would be talking about great things, and then in the middle he would say, "Wait, I will be coming back. I smell something. Sharda is cooking something really great" -- Sharda was his wife. And he would go to the kitchen, leaving the disciples wondering what kind of enlightened man he is. And now he could not eat. Sharda was also a rare woman. They had never had a wife-and-husband relationship from the very first day, when Ramakrishna was only fourteen years old, and he had gone to see Sharda, with his parents and relatives, to see whether he liked her or not. His mother had put one rupee in his pocket in case he needed it -- he was going to the nearby city. One rupee was more than enough in those days; one could live the whole month comfortably on one rupee. When Sharda came -- and this is the traditional way, that the girl will come with the food, with the plates, and place the plates before all the guests, and that is the time when the boy can see her, his parents can see her. When she came to put the plate of food before Ramakrishna, his eyes were full of tears. He took out his one rupee, put it at her feet, touched her feet. His parents thought, What is he doing! He destroyed the whole thing. Husbands don't touch the feet of their wives, although wives can touch their husband's feet. And putting this one rupee at her feet, and touching her feet; what does he think -- is she a goddess, or what? And they asked Ramakrishna, "Do you like the girl?" They got married. The girl's family was also a little bit shaky about whether to let this marriage happen or not, because the boy seemed to be a little crazy. Nobody had ever heard of this kind of thing. But he was such a lovely, healthy, silent, beautiful young man, they could not refuse. And Sharda insisted that if she married anyone, then she would marry Ramakrishna. They said, "Are you mad? -- because what he has done is simply a proof that he can do anything." But Sharda said, "Something in his tears, something in his touching my feet, has touched my very heart. Now I cannot be anyone else's wife -- that would be cheating. I have already accepted him as my lord." They got married. On the first night, the first thing Ramakrishna did was, he placed her high on a stool and worshipped her. She was a young girl -- just maybe thirteen years of age. She asked what he was doing, and Ramakrishna said, "From today you will be my mother, I will be your son. Don't tell anybody; otherwise they will think we are mad. So to the outside world I will be your husband, you will be my wife; but as far as we are concerned, you will be my mother and I will be your son." And that's how they remained: mother and son. So when he became sick with cancer of the throat, Sharda asked him, "This is unbearable -- you loved food so much, and preparing food for you was my only worship. Why don't you ask God to remove this cancer? If you ask, it is going to happen!" "And he is right, so I will be eating.... So don't be sad. There is a possibility of such an organic unity that your throat can become my throat, that your hands can become my hands. And if it does not happen, then there is no love." Love is the greatest miracle in existence. Naturally, there is no power higher than love. But love is not a force. The very word "force" -- the very sound of the word "force" indicates that you are interfering in somebody's being. You are destroying somebody, reducing somebody to a thing. So remember, power never becomes force. Power becomes bigger and bigger; it can become universal, but it still remains power. It is a benediction, a blessing. Force is ugly. Force is inhuman. Don't be misled by the fact that in the dictionaries they mean the same. Dictionaries are not written by enlightened people; otherwise, words would have different meanings, different connotations, and language would have a purity. But unconscious people go on writing dictionaries, books on linguistics. They have never known anything like power; they have known only force. Naturally, to them the words are synonymous. But to me they are contraries. Keep them separate; never become attracted towards force. Be full of power -- which is yours; expand it, let others share it. And it can become so vast that you can spread yourself over the whole existence. That's what enlightenment is: when even the farthest stars move within you, when there is nothing outside you, when everything becomes your interior kingdom. But it has not been conquered, it has not been invaded. It is through the sheer magnetism of love that the whole universe has become your own, and you have become part of the whole universe. IS MEDITATION ENOUGH TO BE WHOLE AND HEALTHY? PLEASE EXPLAIN. The word "meditation" and the word "medicine" come from the same root. Medicine means that which heals the physical, and meditation means that which heals the spiritual. Both are healing powers. Another thing to be remembered: the word "healing" and the word "whole" also come from the same root. To be healed simply means to be whole, not missing anything. Another connotation of the word -- the word "holy" -- also comes from the same root. Healing, whole, holy, are not different in their root. Meditation heals, makes you whole; and to be whole is to be holy. Holiness has nothing to do with belonging to any religion, belonging to any church. It simply means that inside you, you are entire, complete; nothing is missing, you are fulfilled. You are what existence wanted you to be. You have realized your potential. In the West, meditation has not grown roots, because all three religions in the West -- Judaism, and the two offshoots of Judaism -- Christianity and Islam -- are all prayer-oriented. Prayer and meditation are absolute contraries: prayer moves outwards. Prayer is addressed to a God you know nothing of -- just a belief given to you by your parents, society, church, synagogue. You pray, but there is nobody who is listening to your prayer. There is nobody who is going to answer your prayer. Yes, people who pray may feel good; that does not mean that their prayer has been heard. Just praying, they become silent. Just praying, a certain kind of attitude arises in them; they put aside their ego, they put aside everything else. They become pointedly concentrated on the idea of God. It is their idea, their projection, but it will give them a feeling of well-being. And that well-being is very deceptive; it makes you feel that your prayer is significant. And there must be a God; otherwise, after prayer, why do you feel so quiet, so calm? Prayer functions almost like autohypnosis. There is no need for a God, you can concentrate on anything. In India there are people who worship trees, and they get the same feeling. There are people who worship statues -- just stones -- and they get the same feeling. There are people who worship the sun, or the river, and they get the same feeling. The question is not what you worship; the question is that if you become concentrated you fall into a hypnotic trance. And a hypnotic trance is very relaxing, it gives you well-being. So if you are doing the prayer just to feel well-being, there is no harm, it is perfectly good. But it has nothing to do with the search for truth. It has nothing to do with the inquiry into your own being. Meditation moves inwards; prayer directs you outwards. That's why I say their dimensions are polar opposites. Prayer needs a God, an object. And you can have any kind of object. Hindus have thirty-three million gods. Why have just one, when you are going to imagine? Why be so miserly? Hindus have gods in abundance. You can choose, according to your liking, any kind of god. To outsiders it looks very strange, but they don't understand the psychology of prayer. It does not matter what you are praying, to whom your prayer is addressed. All that matters is that you should be concentrated. You can do the same just lying down looking at the light bulb without blinking your eyes, praying -- at least the light bulb is not your imagination, it is there -- and soon you will fall into a hypnotic trance. And when you wake up you will feel very refreshed, rejuvenated, livelier than ever, younger. So nothing is wrong as far as all these things are concerned. The problem is, if you think this is religio, this is spiritual growth, then you are falling into a very dangerous fallacy. Religion is a journey inwards, and meditation is the way. What meditation actually does is, it takes you, your consciousness, as deep as possible. Even your own body becomes something outside. Even your own mind becomes something outside. Even your own heart -- which is very close to the center of your being -- becomes outside. When your body, mind and heart, all three, are seen as outside, you have come to the very center of your existence. This coming to the center is a tremendous explosion which transforms everything. You will never be the same man again, because now you know the body is only the outer shell; the mind is a little bit inner, but not really your inner core; the heart is a little bit more inner, but still not the innermost center. You are disidentified with all the three. It is because of this that George Gurdjieff used to call his way "the fourth way" -- because if you can transcend these three, you reach the fourth, beyond which there is no way to go. You have come to the very end. But this gives you many experiences. You start feeling, for the first time, crystallized, not that old wishy-washy person you had always been. For the first time you start feeling a tremendous energy, inexhaustible energy that you were not aware of. For the first time you know that death will happen only to the body, to the mind, to the heart, but not to you. You are eternal. You have always been here, and you will always be here -- in different forms, and ultimately in a state of formlessness. But you cannot be destroyed, you are indestructible. That takes all fear from you. And the disappearance of fear is the appearance of freedom. The disappearance of fear is the appearance of love. Now you can share. You can give as much as you want, because you are now at the inexhaustible source of living waters. Many who are thirsty will be coming to you. They will find you, there is no need for you to call them; their very thirst will bring you in contact with them. They will come closer to you, because as they come closer they will find their thirst disappearing and a great contentment arising in them. The same as you are, they are becoming. Meditation makes you whole, makes you holy, and makes you an inexhaustible source for all those who are hungry, thirsty, seeking, searching, groping in the dark. You become a light, and many can share your light. And you can see it: one candle which is lighted can help many candles to be lighted. That does not diminish its own light. One enlightened being can share his enlightenment and many can become lighted. But his enlightenment is not diminished; on the contrary, it increases. The more he gives, the more he is. A moment comes when he gives himself totally. And that is the moment when he becomes a master. Then those who are ready to take, who are open, available, can take as much as they want. The master is only a light. He is not a teacher, but something transpires between him and the disciple. And the moment the disciple also becomes lighted, there is no difference between the master and the disciple. And that is the greatest joy for the master -- when all his disciples are also masters. That has been my whole idea in creating communes around the world. These communes are not ordinary organized religions, these communes are not communes of believers. 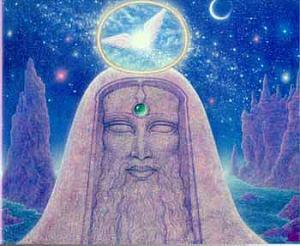 These communes are alchemical labs for transformation and for creating more and more masters. With less than masters I will not be satisfied. Meditation is the way to the mastery of your own being. No God is needed, no catechism is needed, no holy book is needed. Nobody is needed to become a Christian or a Jew or a Hindu -- all that is sheer nonsense. All that is needed is to find your center, and meditation is the simplest way to find it. It will make you whole, healthy spiritually, and it will make you so rich that you can destroy all the spiritual poverty of the world. And that is the real poverty. The poverty of physical bodies for food, for clothes, for shelter, can be easily helped by science and technology. But science and technology cannot help to give you blissfulness -- that is beyond their scope. And you may have everything that the world can offer, but if you don't have peace, serenity, silence, ecstasy, you will still remain poor. In fact, you will feel your poverty more than ever, because the contrast will be there. You are living in a golden palace, and you know you are a beggar. The golden palace will become a contrast: now you can see inside there is nothing, you are just empty. That's why, as humanity becomes more intelligent, more mature, more and more people start feeling meaninglessness, more and more people start feeling life is accidental, that it is just futile to go on living. The latest developments in philosophy in the West all indicate one thing, that perhaps suicide is the only solution. And of course, if you don't know your inner world, and you have everything available that the outside world can give to you, suicide will appear to be the only solution. Meditation can make you inwardly rich. Then suicide is out of the question; even if you want to destroy yourself, there is no way. Your being is indestructible. And to know this immortality is a great freedom -- from death, from disease, from old age. All those things will come and go, but you remain untouched, unscratched. Your inner health is beyond any sickness. And it is there, just to be discovered. COULD RELIGIO BE TERMED AS NEO-EDUCATION? No, because education is something very ordinary. Religio will remain religio. It cannot be replaced by another word, for the simple reason that it has multidimensional meanings which no other word can have. The first meaning of religio is: to make you one. All the societies and cultures and religions have made you schizophrenic, split. They have divided you in many parts -- the good part, the bad part, the light part, the dark part, the higher and the lower. They have been teaching humanity for centuries that you are not acceptable as you are; you have to drop many of your essential parts. Then only will you be acceptable; otherwise you will remain a sinner. To become a saint, you have to go on destroying many parts of your being, your nature. Religio means, nothing has to be destroyed, nothing has to be cut from you. Everything that you have has to be used in an organic unity. In fact, what you call bad, what you call black, dark, devil -- they all can enhance what you call divine, white, good. Just look at a painter. He uses all the colors; he uses black, he uses white too. He uses all the colors to create something immensely beautiful; everything just has to be in the right place. Go to any school and you will see a blackboard, because to write with white chalk, a blackboard is needed. It gives the white letters more whiteness, it creates the contrast. The same words can be written on a white board and they will be lost, you will not be able to see them. Life is a great orchestra, all the instruments have to be used. But if you don't know how to play all the instruments, then instead of an orchestra there will be just noise, a nuisance -- neurotic, unbearable. A master musician will put the same instruments in the right places, to be used in the right times to create the symphony. Man comes with all the ingredients to become an enlightened person, but very few people manage to become -- for the simple reason that you start fighting with yourself, rather than trying to understand all your ingredients and finding ways they can be used to create a beautiful symphony. Religio simply means to put all your separate parts together in oneness, to make a cosmos out of your chaos. It also means that it is an individual process, that there is no need for crowds, no need to become part of organized religions -- because the organized religions have not produced a single enlightened person. Have you thought about it? All the enlightened persons had to rebel against the organized religions; only then could they become enlightened. It seems organized religions are the greatest barrier to enlightenment. Lao Tzu, Chuang Tzu, Gautam Buddha, Bodhidharma, Baal Shem Tov -- all these people had to go out of the organized religion for the simple reason that the organized religions exist for the mob, and the mob has no desire to become free of their slavery. In fact, they find themselves very cozy and comfortable in their slavery. Freedom freaks them out! Freedom creates fear in them. Freedom means responsibility. In slavery you are not responsible; you have just to follow the order, just to do what the priest says. You have not to find your own truth, you have to just become parrots and repeat THE HOLY BIBLE, the holy KORAN, the holy GITA. You don't have to journey inwards; you have to become only more informed, more learned, more accustomed to the rituals -- howsoever meaningless. Anybody who wants to become enlightened will have many doubts about all these rituals, about all these scriptures, about all that is being taught in the churches and synagogues by the bishops, by the rabbis, by the shankaracharyas. There are bound to be a thousand and one doubts. Religio is individual, religion is organized. And the most challenging thing in the world is to be individual. But the greater the challenge, the more is the gain, the more you become steel, the more of your potential becomes actual. But in organized religion there is no challenge: there are only consolations. Those consolations function as opium. They help the crowd not to revolt against all kinds of exploitation, against all kinds of superstition, against all kinds of stupidities. In the whole of history, not a single organized religion has been able to produce a single enlightened man. Those who became enlightened became against the organized religion. They had to become individuals, rebels. They were tortured, they were harassed, they were condemned, because all the forces for torturing people, condemning, harassing them, were in the hands of the organized religions. And the state has been always in conspiracy with organized religions. They support each other, their aim is the same. The state, the politicians want people to be enslaved physically, and the priest wants people to be enslaved spiritually. And enlightenment is freedom, freedom in all its dimensions. So please, don't bother looking for another word, there is no need. Religio has all the meanings that are needed. Religio has no scripture, no doctrine except a challenge: "You are alive -- seek the source of your life." It only provokes the dormant desire to know oneself: it does not give a belief, an idea who you are. It simply provokes the desire to know thyself. And it allows you to be thyself -- against the whole world. It is the only revolution there is. THE OTHER DAY YOU SPOKE ABOUT SIDDHAS, ARIHANTAS AND ACHARYAS. COULD YOU SPEAK ABOUT BODHISATTVAS. IS THERE ANY RELEVANCE IN THESE SANSADS NOW? The Rajneesh Academy has many dimensions to fulfill. One I talked to you about was to appoint acharyas, siddhas, arihantas. These are not clergymen, not bishops and cardinals and popes. They don't have any function to perform -- marriage, birth of a child, circumcision, death, no. Any friend, any sannyasin can do all these things. So there is no question of clergymen. In fact, it is a question of friends. Somebody dies... then those who were close to him, they should perform the death ceremony. The clergyman may not have even known the person; he will simply repeat a certain ritual. It is better that friends perform the ceremony. If there is a marriage, there is no need for any clergyman. Moreover, it is very strange that most of the religions' clergymen are celibate -- and they are performing marriages! -- just doing something which is a sin. Friends should do it, those who know the lovers should perform the ceremony -- not in the name of God, not in the name of any holy book, but in the name of love. If a child is born, then friends should be present there, helping the child, helping the mother, making the atmosphere as natural as possible. No clergyman is needed, not even a doctor is needed -- just people who love, a small group of people who love. Their presence will help the woman to go through the pains more easily. Their presence and their understanding will help the child to enter into the world more lovingly. Now, a clergyman doing circumcision.... It is not a very great welcome to the world. It is really hurting the child. What the doctors have been doing has not been very friendly. Yes, it has been professional, but their profession is based on wrong knowledge. As the child is born, the first thing the doctor will do is to hang the child upside down, and to hit the child on his bottom -- that is the traditional way -- so that the child starts crying. But this is not a great welcome to the world -- coming crying into the world! And immediately he cuts the cord that joins the child with the mother. That too is not right. But he is in a hurry, every professional is in a hurry. He has to do many other things; there are other mothers waiting. The whole hospital is full of pregnant women; he cannot waste unnecessary time. The room is full of glaring light. And nobody thinks that the child has been for nine months in utter darkness; his eyes are very delicate. This blinding light perhaps may be the cause of all the glasses that you see in the world. Eyes are damaged from the very beginning. Friends should think of the child, his future, because the first step is almost the most important step. Only candlelight should be there, not glaring electric lights -- there is no need! Incense should be burning there; the child should be received with flowers, roses. And the child has been in his mother's womb at a certain temperature, floating in a liquid which is exactly the same as sea water. As the child is born, immediately he should be put into a tub with the same temperature he is accustomed to, with the same kind of water, the same salts, which are very relaxing. And don't be in a hurry to cut the cord. Let the child first start breathing. And once the child starts breathing, then cut the cord. Right now what happens is that doctors cut the cord -- and then they have to hang the child upside down, to hit him on the bottom, so out of shock he starts breathing. But this is treating the child like an old Ford -- you have to push from the back for half a mile, then it starts. This is stupid. Yes, it is done quickly. It is in favor of the doctor, but not in favor of the child, because he has not started breathing on his own and you have cut the cord. You have created such a great fear of death that it will follow the child his whole life. First wait -- and it is not more than three minutes -- until the child starts breathing on his own. When he starts breathing, then cut the cord, because then he does not need it and it won't hurt him. And he will never be so fearful as you see people are fearful now. Then take the child and put him on his mother's belly. He has been inside the belly -- don't take him away so far, so quickly. Put the child on the belly, because he knows only one contact, only one warmth, and that is his mother's body. He is acquainted only with his mother's body, so let him rest. After a good bath, let him rest on his mother's belly. You can play the guitar. You can sing a beautiful song -- nothing like jazz!... something soft, something more Eastern and more classical, which is soothing and which will make the child comfortable in his new world. I have told you about these three titles -- siddha, arihanta, acharya -- which are experiential. I have also created three groups which will be active only when I leave the body. So you will have to wait a little for them to become active. While I am here there is no need for these three groups to be active. But these three groups belong to Rajneesh Academy. The first group is the mahasattvas. These are the people who will become enlightened before my death. The second group is the sambuddhas, who are already enlightened, but because I am here, they will remain anonymous just out of their gratitude. The third group is the bodhisattvas, who will become enlightened before their death. So I have chosen names for these groups, and I have directed the groups about their numbers -- that these numbers should remain constant, and if one person dies, how he has to be replaced. I have given them all the instructions. But that is not of any use to you. When I am not here, then the people who will be running the commune will need elders for guidance. These three groups will provide all kinds of guidance. They will not have any power; they will not be holding any post, but they will be available to all the people who are running the communes here and around the world, for any guidance. When I say they will not be holding any post, that does not mean that anybody who is holding a post cannot be a member of any of the groups. As a group member, he will not be holding the post, but as an individual he can hold the post. But while he is on the post, he cannot function as a member of the group. I want these groups completely free from any politics, so they can have a very nonpolitical vision. And if they need to, all three groups can meet and take decisions, and their decisions will be absolute. All their decisions have to be unanimous. Unless they come to a unanimous decision, it is not of any worth. So it is not a political thing, that majority decision will win. They have to argue, discuss, persuade, and come to a unanimous decision. Then only can they advise the people who are in power to follow it. 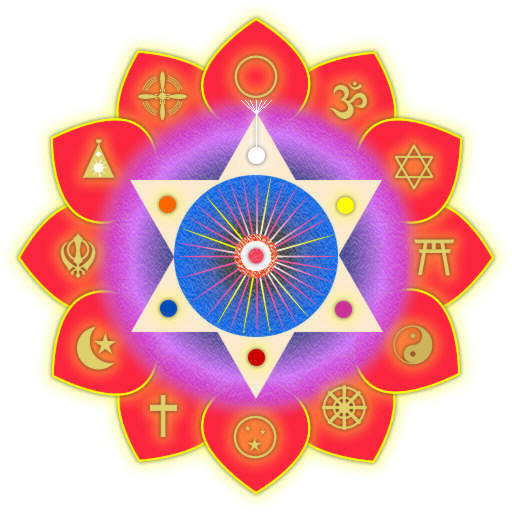 Rajneesh Academy will become your source of religio. YOUR HAND RISES AND EMBRACES THE UNIVERSE. A WISP OF YOUR BEARD MOVES AS YOU WALK AWAY. AND I FALL IN LOVE AGAIN AND AGAIN AND AGAIN. BELOVED MASTER, WHAT IS THE MAGIC?